It was 22:00. We were waiting for a few hours in the bus station. My hands were getting cold and I felt frost. I was alone on the street, and there was absolutely nothing to say, except for the insistent ticking of my watch. Looking blurredly at the city, I heard a cry, familiar, but still I could not figure out who she was. I came back, and I saw an unknown girl running towards me and screaming at me. I did not see his face well, but his blue eyes became obvious to him. I wanted to ask her who he is and where he knows my name, but that's when the bus arrived, so I got up right away, thinking how cold I was. Throughout the road, which was long enough due to the snow, I only thought about that girl and who it could have been. Finally, I got home at around 23:15. While I was desperately looking for my keys in my pocket, I noticed a note that was half outside, half past the door, which was high enough to slip something under it. Still, I did not pay that much attention until I did not find my keys, and not even then. I picked him up and dumped him somewhere in the house, being very tired and thinking only of sleep and warmth. I fell asleep quickly, not thinking about that mysterious girl and that note. Wow,I didn't have to correct much,but it`s brilliant! Wow! I love it! NEXT NEXT NEXT NEXT NEXT NEXT NEXT NEXT. 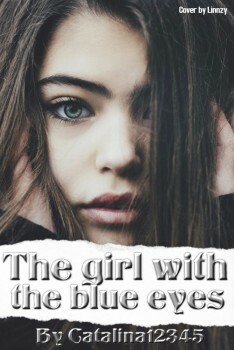 First, I think it should be "The girl with blue eyes'', without ''the''. Second, in English, in books, they always put space between paragraphs and the things someone is saying are put between quotation marks, they don't use dash for dialog. In addition, you were talking about a girl using both feminine and masculine pronouns. ''His'', ''him'' and ''he'' are masculine forms. And I think in the second sentence you should have used the past perfect continuous tense. There are some more mistakes, but the story is really nice and I don't try to criticize you, I'm just trying to help and I hope you'll continue to write this book. Good luck!